This statement was issued early in the process. Dragging your feet during a crisis only makes matters worse. This has apology all over it. Whether you choose to believe her not, the statement says she accepts her guilt, was wrong, is ashamed, has no excuse, broke the law, engaged in dishonesty and is sorry. There’s no attempt at “I’m sorry if you were offended” here. Huffman owned it by including “I” or “my” 21 times in the statement. 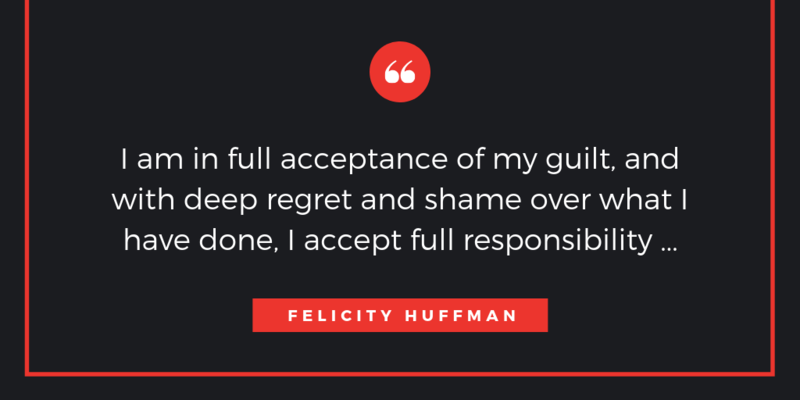 Huffman addresses the widespread outrage over the privileged and wealthy who, through this scheme, were taking spots from families that approached the college selection process honestly. Adding “and I’ll never do this again” is unnecessary. In the case of accidents, embezzlement, sexual harassment and other crisis situations, a statement must show you are taking steps such as firing an employee or changing safety protocols. Need help with a crisis? Time is of the essence so give us a call or contact us today.